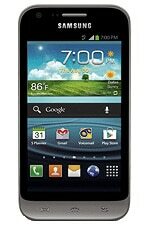 The Samsung Galaxy Victory is a budget LTE Android handset that runs Google Wallet and is available from Sprint in the US. The Galaxy Victory has a 4-inch 800 by 480 display, 5- and 1.3-megapixel cameras, and a dual-core Snapdragon S4 MSM8960 Lite processor clocked at 1.2GHz. The device runs Android 4.0.